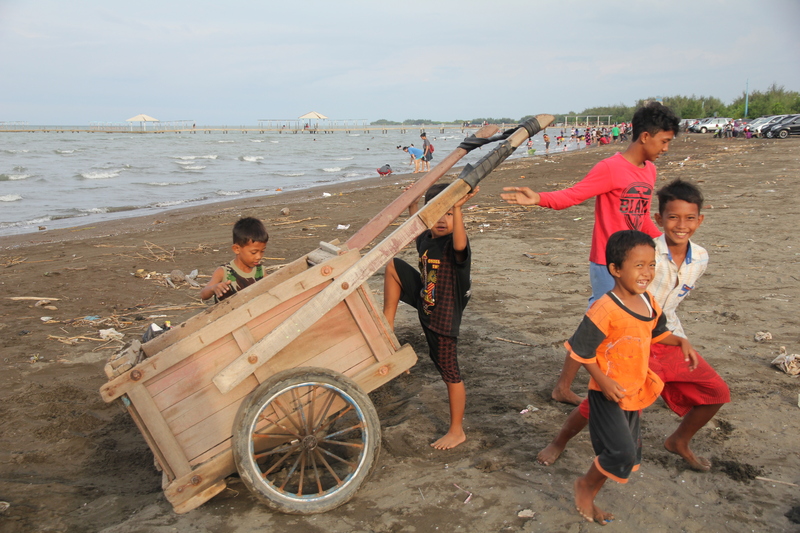 Last week, during my visit to my home town, Tegal, Java, Indonesia, I went to the beach PAI (Pantai Alam Indah) with my kids. When they were playing with sands, I captured some pictures there. This one showing the warmth that sparks from the kids who were playing there. It is the warmth of joy.